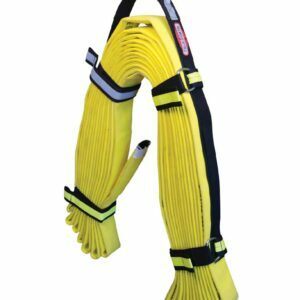 Light in weight and strong in stature, Reel Lite is the go-to attack hose for first arrival frontline duties. Fully loaded, ready on the reel, the rubber forestry hose is purpose-built for wildland use: Reinforced with a 100% high tenacity polyester cover for exceptional durability and low drag; and a smooth TPU liner for low kink resistance—it goes wherever you need it, with complete confidence. Available in 50’ or 100’ lengths, Reel Lite is available with expansion ring or field repairable couplings. Durable. 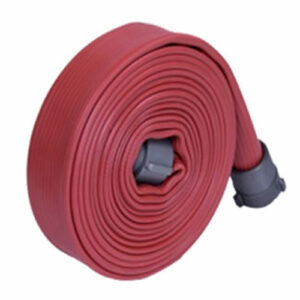 Polyester single jacket hose with ultra-durable outer cover, circular woven with helical inner reinforcement. Reliable. Built tough for rugged dependability, but at a light weight for exceptional portability. Efficient. Jacket design delivers low drag for exceptional service for grass and brush, wildland, dumpster and industrial fires. Flexible. Polyurethane liner is lightweight, flexible and delivers low kink resistance. Service-Ready: Fully loaded, ready on reel. Recommended reel size 12″ minimum. Certified. Assembled in accordance with NFPA 1961 Standard, latest edition, within our ISO-9001 certified quality assurance system. 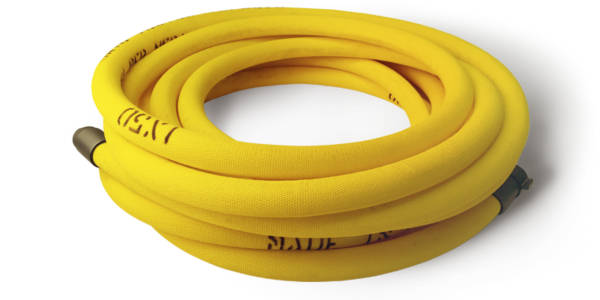 As per NFPA 1961 – The service test pressure is to be 10% greater than the “normal highest operating pressure” at which the hose is expected to be used.